If you’ve been ogling the Old Navy US website of their unique line of casual plus size clothing and trying to figure out how to get an order delivered to Canada, you don’t have to jump through hoops any longer! Plus Size has come to Canada, YAY! 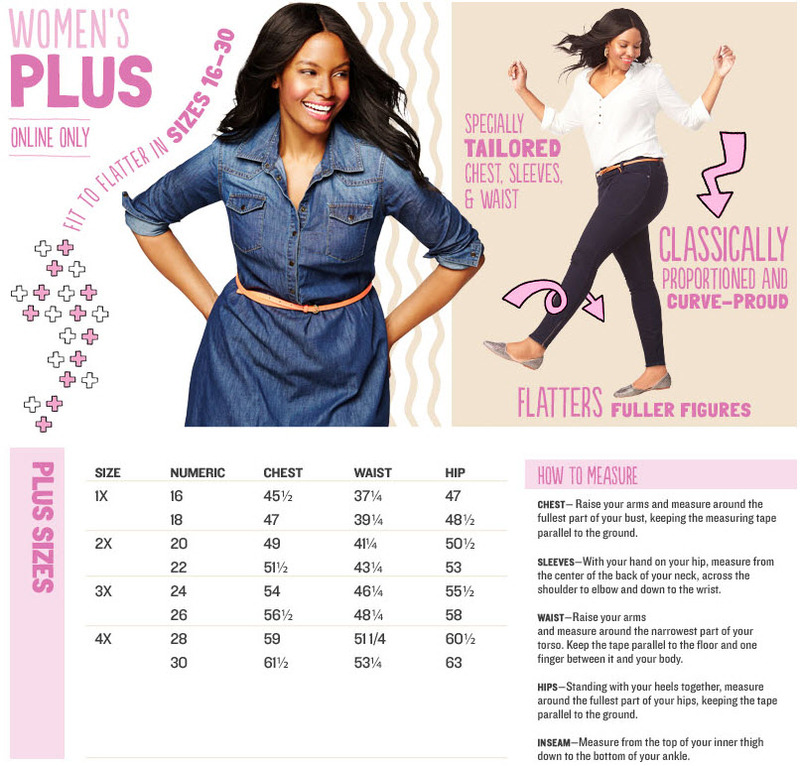 It’s an “online exclusive” so we won’t be able to find these clothes in physical stores, but if you’re a master of measuring (and every woman, of every size, who orders clothes online should have an updated stats sheet of their body’s measurements,) the online store has a fabulous collection of plus size clothes and accessories that are true to Old Navy’s style to enjoy! I’ve got my eye on quite a few items that will look fab this Fall, (my favourite season,) so am loving that this line came out just in time to prep! If you’ve ever wanted guidance on how to put together some fabulous outfits, Old Navy has a great page to check out! This is something that I’m going to look forward to seeing every season, as their Outfits We Love page is a great tool to get the entire look that you love! And Old Navy states right one their size chart that their plus sized clothes are specifically designed to flatter a fuller-figured woman, so I am truly excited to see that happen! Plus sized, curvy shoppers can also look forward to the same great deals that you’ll find in common sized clothing as well! Until August 29th, plus-sized jeans are on sale starting at $19! I can’t wait to try out the dark wash skinny jeans I’ve just bought! Also if you spend $50 or more, you can take advantage of their free shipping offer, so if you’re in the need of a new pair jeans (or two), now is the time to buy! Here’s my final cart that I can’t wait to share in a future post with ya’ll! The size chart was really helpful in making sure I picked up the right sizes, but the free returns means I can shop with ease too. If what I ordered doesn’t really suit me as I had hoped, then I can easily return the items with the prepaid Canada Post shipping label that will be included in my parcel. 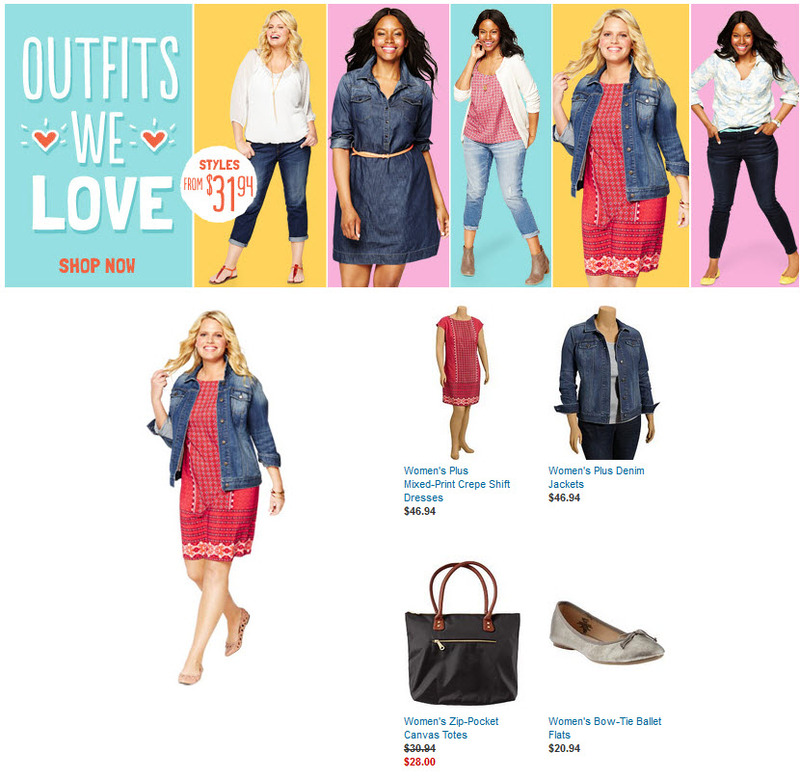 Have you checked out Old Navy’s fabulously plus-sized fall collection yet? What are your favourites? Next week I’ll share how well the items I’ve purchased fit and flatter, so stay tuned! That’s awesome! Not everyone is a size 0! I’m glad they have finally expanded! I Love OldNavy! So happy they’re expanding their market to be more inclusive. Great deal on jeans! 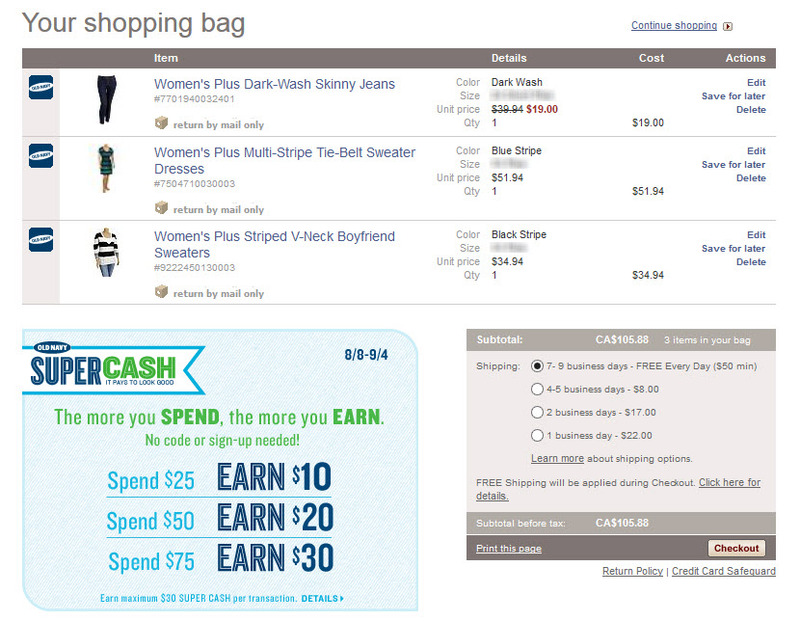 I shop a lot at Old Navy and especially love the super cash. Mommy needs some new fall clothes too, doesn’t she?? I was so excited to see this too, but I’m curious when they’ll do the same thing for the men’s line! I know a few guys that would be excited to see some of the larger sizes for them too!